iWhite Facial Cream - Is It a Good Product for Morenas? If you have been following my blog for a while now, you should remember the step-by-step guide that I posted on How to Use the iWhite Whitening Pack. Well, I have recently tried yet another iWhite product: the iWhite Facial Cream - and here is my in-depth and honest review about it. 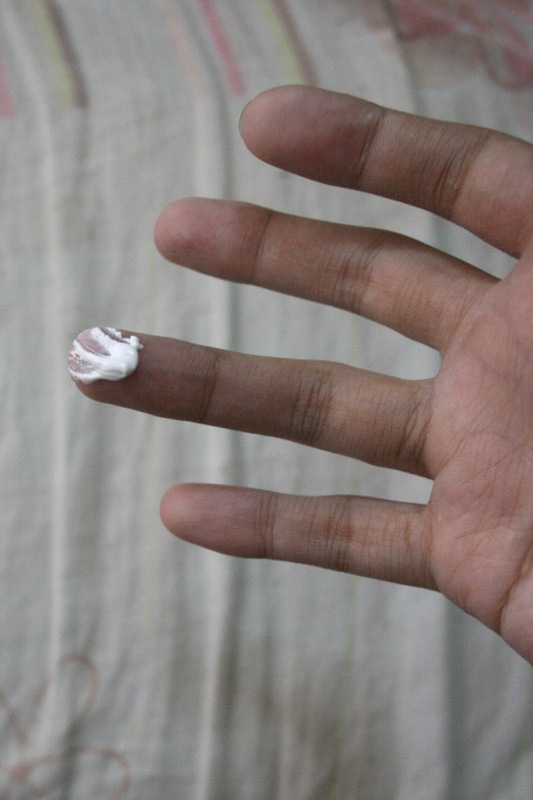 As with the iWhite Whitening Pack, I had some trouble getting used to the iWhite Facial Cream. See, the iWhite Facial Cream really makes you fairer. And since I'm morena, this really isn't ideal for my skin tone as it doesn't match my neck in the end - or the rest of my body for that matter. Lol. While a lot of people may prefer the "whiter look", I'm proud of my morena skin and wasn't too pleased with the sudden whitening effect that came about after using the iWhite Facial Cream. While the whitening of the face does subside a teeny tiny bit a few minutes after the iWhite Facial Cream is applied, it still scares me when I end up putting on too much of the product by mistake. Anyway, to avoid looking unnaturally white if you are also morena yourself, here are some personal tips of mine when using the iWhite Facial Cream. 1. Apply the iWhite Facial Cream on a clean face in the morning instead of right before applying your makeup. This way, you can get used to the color and let it subside as much as possible before you go out. 2. Do not use too much of the iWhite Facial Cream at once if you are a natural morena. This way, you won't get scared off by the intense white color that may occur from too much application of the product. 3. Put on a lot of foundation in your actual skin color on top of the iWhite Facial Cream before going out. This will ensure that you get much closer to your actual skin tone. Even with foundation, though, keep in mind that you will have a fairer and brighter face than usual. So, don't forget to put some on your neck, too! Please keep in mind that the tips given above are for those with morena skin, though. 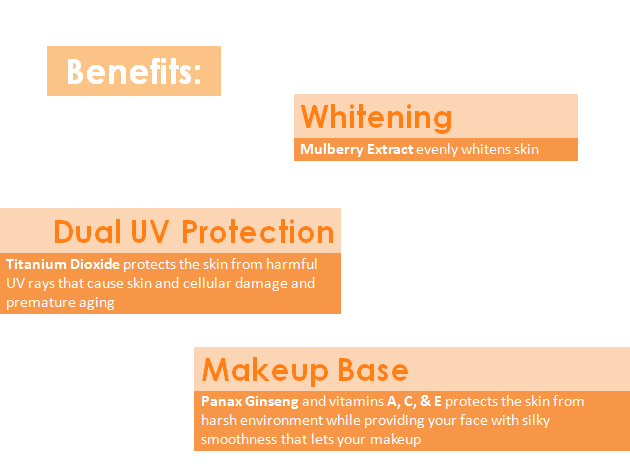 The iWhite Facial Cream might work perfectly for those who are naturally blessed with fair skin. Despite all of this, I still make it a point to keep using the iWhite Facial Cream on a daily basis, though. This is because it comes with a ton of other benefits, as well. Believe it or not, two times this amount is enough for my entire face. Conversely, you can join this giveaway and win a gift pack from iWhite Korea! I want to win this bec it seems like it's a good product for morenas and I want to try it. Just want to have a clear but not too white face. I want to win because I want a regimen that I can get used to. iWhite Korea seems to be a good start as I've read good reviews about it. Also, I'm on my 20s, all the more need to take care of my skin properly. After reading Ms. Angeline's honest review of the product, i am more convinced the iwhiteKorea is a product to be trusted and it shows the real thing, unlike those things that are seen on a tv commercial. Yes, the product may have some little pitfalls for morena's like me, but it doesn't stop me from wanting to try it out. why? Simple because i have tried the whitening pack and i know the thing really works.As for this facial cream, i am expecting that it would give me the same satisfaction as the whiteningpack. And that's the reason/s i want to win the gift pack ! :) PS. Thanks for the tip miss Angel. I always have the same dilemma as yours. This would really help a lot. I want to win this because I want to try this also for my morena skin. i'd love to win because i've tried the nose pack and i love it. I heard good reviews about this product.I hope to win to get the chance to try this product.Thanks for another giveaway!